The Paris Catacombs are a tourist attraction made from the tunnels which stretch under the streets of Paris. 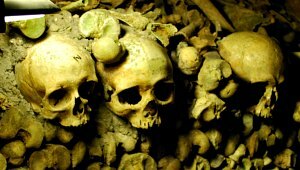 The vast majority of the city’s catacombs are off-limits to visitors however, one small 2km section is available to visit. It’s very popular though, so be prepared to wait in line. 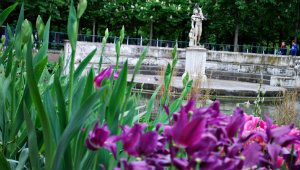 Jardin des Tuileries is one of the best loved public parks in Paris and was originally the impressive gardens of the Tuileries Palace, which is now the Louvre Museum. 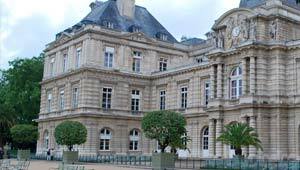 The park is part of the linear layout of central Paris running from the Arc de Triomphe, down the Champs Elysees and through the main path in the gardens. 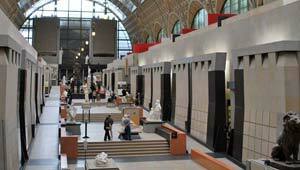 The Musée d’Orsay building was originally one of the main railway stations of Paris. 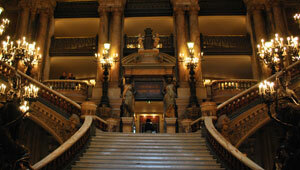 Its exterior architecture is therefore similar to stations link Gare du Nord where the Eurostar arrives. If you thought the outside was impressive though, the architecture inside is really remarkable too and then there’s all the exhibits to enjoy on top. Jardin du Luxembourg is the most used park in Paris and it’s a lovely place to wander through on a sunny day to sample Parisian life. The flower beds are stunning at the right time of year and there are plenty of other features to keep you interested too. One of the most striking works of art is a huge bronze head which was added in 2007 and is known as “Le Prophète”. If you have a spare few hours, a journey along the Canal Saint Martin is a great way to see a more realxed side of Paris. You can walk the canal tow paths and visit the cafes on route, but we found the boat trip through the locks a better experience. Canal St Martin is 4.5km long and there’s plenty to see along the route. 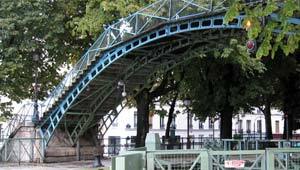 We found the biggest highlights are the attractive locks and bridges along the way which appeared in the film Amelie. Beautiful on the outside, despite the busy traffic that surrounds it and you can take tours to see how amazing it is on the inside! Sometimes access to the actual auditorium is excluded from the tours so ask before buying your ticket. The district around the Opera has some of the most exclusive shops.